Christian Finger is an award winning and critically acclaimed drummer, composer, and educator. He has played and recorded with renowned artists such as Lee Konitz, Ron Carter, Jeff Ballard, Dave Kikoski, among others. Born and raised in Germany to an artistic family, Christian started early on the drum set and piano and became known as a child protégée at the Musikhochschule Detmold. He continued studying drums in Germany, USA and the Netherlands. After receiving his BA and MA degrees and working in Europe, he moved to Sydney, Australia, and in 2001 relocated to New York City. “Ananda is brimming with idealism and fearless venture... this ambitious undertaking successfully aspires to exude an abstract, sprawling vibe of global connectivity... Ananda is plentiful with such moments: cinematic tableaus that somehow gracefully merge... on-the-sleeve honesty and that’s key..."
Combining Jazz, Classical, World, and Pop music, Finger's compositions create a sophisticated sound of their own. His style is influenced by American Jazz tradition, European sensibility, indigenous music and film scores. Finger leads the Christian Finger Band in New York City, featuring the core unit of Vadim Neselovskyi and Adam Armstrong, as well as world renowned guest musicians Ralph Alessi, Dave Kikoski, Rich Perry, Donny McCaslin, Dave Stryker, Zack Brock and Dan Tepfer. He also leads the Finger European Band, featuring some of the best players from Germany, such as Claudius Valk, Frank Wunsch, Gunnar Pluemer and Hans Wanning. As a collaborative member of IN Trio, he plays with bass legend Harvie S, and saxophonist Tim Armacost. The trio has released two critically acclaimed albums, “Defining Moment “and “Cascade”. 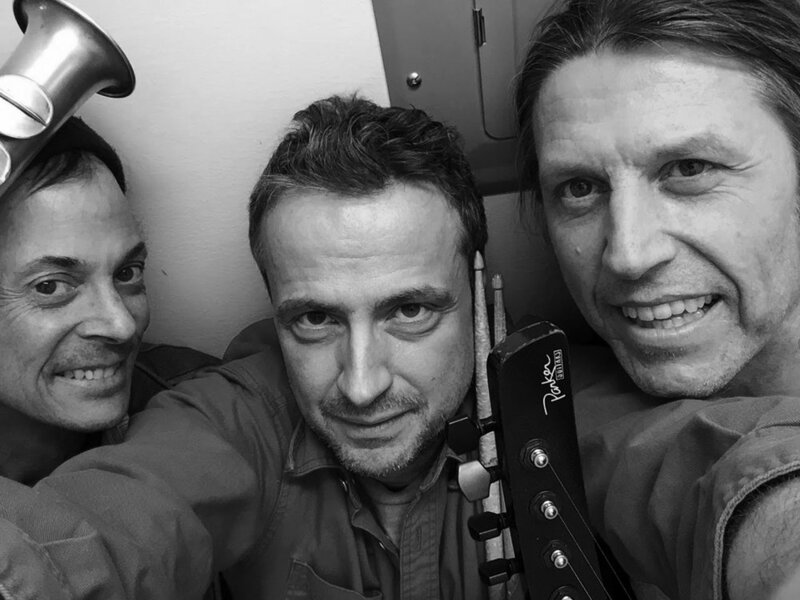 Finger's most recent endeavor is Breathe-Live, featuring Christopher Braig and Peter Knoll; the band's first album “In Your Maze” is ready for release. An outstanding international group of New York’s finest musicians, who combine jazz, classical, world, and pop music, creating a sophisticated sound of their own. The band coaxes the imagination and takes the listener on a journey that mesmerizes, transcends, and entertains at the same time. Through the exciting and diverse compositions of Christian Finger, and the effortless capacity of an elite ensemble of master musicians, the band playfully engages audiences worldwide. Appearing at Top jazz venues/festivals in NYC and abroad, concerts by the Christian Finger Band are highly popular. Christian’s music has also been used for different off-Broadway theater productions and events for “Der Spiegel” (Europe’s biggest news magazine). Finger has lived in Germany and the Netherlands and other part of Europe; during those years he established deep connections with a core unit of leading musicians, including the main members of the band, as well as Claudius Valk and Jens Boeckamp on tenor saxophone. Their sound is colorful and rooted in European sensitivity, as it dips into a deep realm of creative process and possibility. IN Trio is a New York City based creative collective. The band’s members have played with notable jazz luminaries. Harvie S has recorded over 400 records, and has performed with Chick Corea, Mike Stern, and Sheila Jordan; Tim performed with Al Foster, Billy Hart, John Patitucci and Randy Brecker; Christian has played with Lee Konitz, Ron Carter, Dave Kikoski, and Jeff Ballard. “Cascade” is the name of their second release, presenting a collection of stunning originals by all three members. The music has been evolving over four years into its present form, which contains groove, spontaneity, interplay and the element of surprise. There is no mistaking the commitment of this band; collective improvisation is combined with thoughtfully composed parts, while innovative and tasteful use of electronics creates an energetic ambience, and vibe. The band’s mission is to create a sound that has a connection to the soul, exploring expressive possibilities, and joining various tributaries of influence. Experimental, Energy, Spontaneity-just three words to describe the music of this unique trio. Organic like breathing, the music ebbs and flows in the moment, unpredictable and following a path of unwritten rules. Performing all over the east Coast and Midwest, their new Album “In Your Maze” is slated for release this year. New IN Trio Album “Cascade’ slated for release on the Centaur Label. More news and concert dates to come! Christian Finger will be teaching at the Cincinnati Jazz Workshop June 9-11, 2019. Breath-Live band is gearing up for their album release, “In Your Maze”, with concerts in the Mid-West and on the East Coast. More information and announcements to come. Learn all you need to know with an efficient “hands on” approach to drumming. Book your lesson today at www.nydrumschool.com! Featured on Oxana Voytenko's CD "Amber Light"
Singer/Composer, Oxana Voytenko’s CD “Amber Light” features Vadim Neselovskyi, Alex Morsey and Christian Finger.